With more than 65 years of combined experience, PAC and Metro Aviation are raising the industry standard. Then exceeding it. PAC International, officially known as Paradigm Aerospace Corporation, is a subsidiary of Metro Aviation, Inc. PAC began operating in 1976 as Western Pennsylvania Helicopter Services, mostly servicing private operators of Bell helicopters in the region. The business quickly grew to over 40 regular maintenance customers to include private owner/operators, charter service operators and law enforcement organizations in Pennsylvania, West Virginia, Maryland and Ohio. 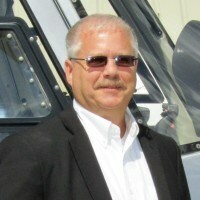 During this time, Bell Helicopter recognized the company as an approved Customer Service Facility. In 1986, Helicopter Aviation Services Corporation, better known as HAS Corporation, was established at the same location to buy and sell Bell helicopters and provide completion, customization and refurbishment services, once again supporting mostly Bell helicopters. In 1993, HAS Corporation acquired Western Pennsylvania Helicopter Services and continued to grow and prosper, eventually being recognized by Bell as a “Quality Procurement Services” (QPS-110) vendor, the highest quality rating Bell gives its approved vendors. 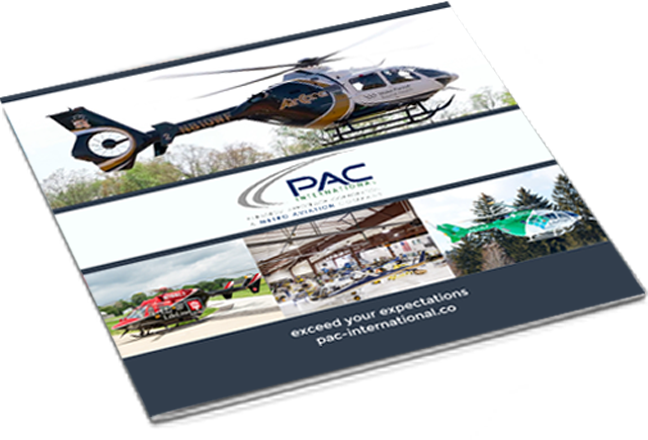 Although PAC International was once predominantly a Bell-based business, it is now a Federal Aviation Administration (FAA) approved completion and customization facility for Leonardo and Airbus Helicopters. PAC has operated on an international scale by providing support service to commercial, corporate, civil government and military operators in almost 50 countries around the world and is poised to reposition itself to undertake even more international business. In August 2012, Metro Aviation, Inc. (“Metro”), purchased the assets and operations of PAC International. Metro Aviation has a long and successful history in the aviation business. It is a world and industry leader in the completion process of Airbus helicopters with twenty Supplemental Type Certificates (“STCs”) issued since 1987. An STC is a certificate issued when an applicant has received approval from the FAA to modify an aircraft from its original design. The company is also a leader in the operations of EMS programs nationwide and currently manages 28 programs across the country. Headquartered in Shreveport, Louisiana, Metro’s 160,000 square foot comprehensive facility is equipped with areas dedicated to painting, avionics, machining, production and installation capabilities all under one roof. Metro’s Engine Repair and Overhaul Shop is an FAA Certified Repair Station and manufacturers authorized service center for the Allison/Rolls-Royce C-20’s, Lycoming LTS 101’s, Turbomeca and Pratt & Whitney engines. Their Fabrication Shop is the benchmark of the industry for EMS interiors and systems and the Custom Paint Shop’s attention to detail and continued dedication toward perfection is apparent in their finished products. 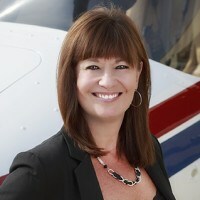 The management of PAC International by an industry leader such as Metro Aviation has given PAC access to the best that the industry has to offer and allowed the company to duplicate the meticulous work that has given Metro the reputation of having the highest standards in the industry. As PAC has continued to expand, its experience and scope has evolved into what can only be described as an extremely knowledgeable and professional company. The company has successfully delivered more than 1,580 helicopter completions and refurbishments, as well as provided maintenance and spare parts support jobs for numerous operators. PAC has operated on an international scale by providing support service to commercial, corporate, civil government and military operators in almost 50 countries around the world and is poised to reposition itself to undertake even more international business. The company is also expanding its component repair and overhaul offerings as well as its service capabilities for operators. 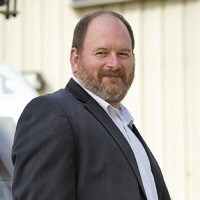 Together with Metro Aviation, Paradigm Aerospace Corporation is redefining industry standards and delivering a level of quality and service that goes beyond expectations.